Hello my stamping friends! It feels good to be back. Thank you for your patience and understanding while I was dealing with my mom's sudden passing. There will be good days and there will be bad days. But I have told myself, take it one day at a time. That's what you have to do. For hopefully in time, it will become a little easier. I miss her dearly, but will hold tight to all the wonderful memories I have of her. She was truly an amazing woman! Thought I would share a few pictures of her. Here's a picture of my parents at the end of the day they helped to pack all my stuff up when I moved across the country after I got married 12 years ago. It was a bittersweet day. They were happy that I was beginning a new chapter of my life, but saddened that it was beginning so far away. This is one of my favorite pictures of my mom with my son, Jack. They had driven out to visit us for a week when he was little and she was so happy to hold and see him that there were tears in her eyes. One of my favorite pictures of mom and I from a couple years ago. This sort of sums up my relationship with my mom. Sure we could be serious, but we loved to just have fun and laugh with each other. We truly just enjoyed each other's company. The older we both got, the more we both appreciated each other. Love you mom! I thought it was fitting to create a thank you card with this week's challenge. I have to admit, that I have yet to go through my retiring stamps, inks, card stock, embellishments, etc. That is on my agenda in the upcoming days so I can start fresh and new again. I have ordered some new things, and I can't wait to play with them when they arrive. This new catalog is filled with all sorts of wonderfulness! If you are in need of one, let me know and I will get one to you! 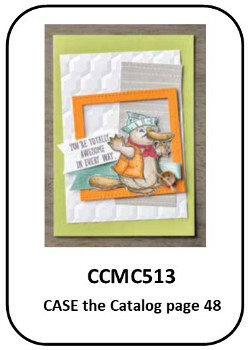 I pulled out the ever cute Bella & Friends and Apron of Love sets to create this simple and endearing card. I used the Polka Dot Embossing Folder for texture in the background and our Layering Squares Framelits to help accentuate my focal point. I chose the color combination of Crumb Cake, Cherry Cobbler, Whisper White, Crushed Curry and Pool Party. So from the bottom of my heart, thank you again for being so understanding of my absence. Happy Stamping! May your memories and God's tender care bring you comfort. I lost my mom 9 years ago. I sympathize with you. Thanks for sharing your story. This poem is one I use for sympathy cards. I have a male version too. that spirit looking out of other eyes, talking to you in the familiar things she touched, worked with, loved as familiar friends. She lives on in your life and in the lives of all others that knew her.